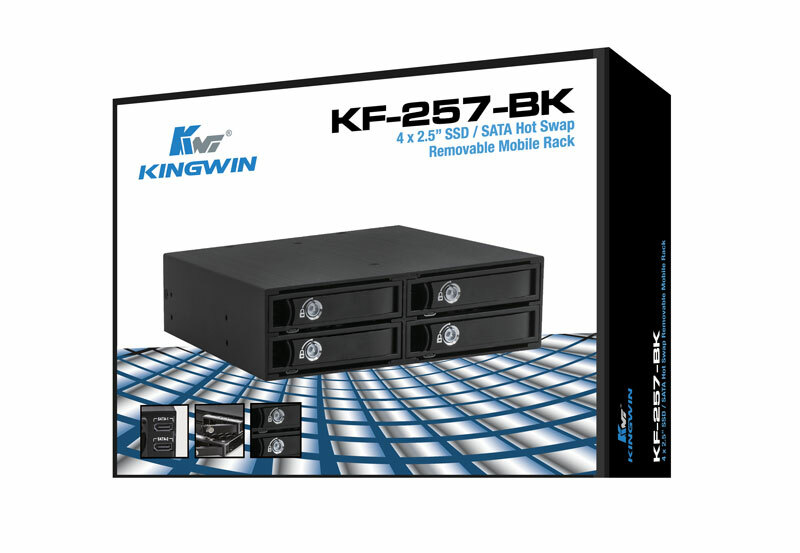 KF-257-BK Mobile Rack | KWI Technology Inc. 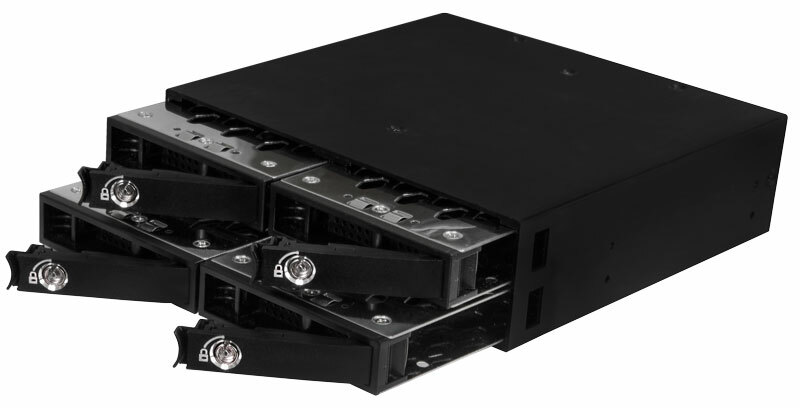 The KF-257 BK SATA mobile rack is exclusively for 2.5” HDD/SSD SATA drives. The rack is ideal for IT professional and enthusiasts in need of storage solutions for their 2.5” SSD hard disk drives. This portable rack has one 5.25” bay, which can accommodate up to four drives at a time! Its exquisite design and unique features make it popular among computer users and IT enthusiasts. Its small size and dimensions make this unit highly portable and you can use it wherever you go. For computer users looking for efficient mobile racks for their 2.5” drives, the KF-257 BK is all you need. 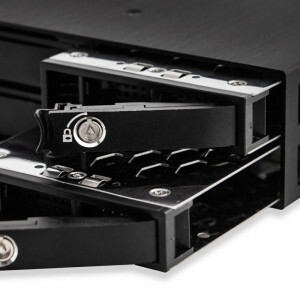 This mobile rack has a special design that is capable of high transfer speeds of up to 6Gbps (SATA III). Its Standard SATA interface compliments its functions and high transfer speeds, making its performance highly effective. You can duplicate or transfer data among the various hard disk drives at very impressive transfer rates. Working with the KF-257 BK mobile rack is easy and extremely secure. It has a triangular lock feature, which ensures that all your hard drives are secure within the rack. Only authorized personnel can gain access or remove the hard disk drives from the mobile rack. Additionally, each of the hard disk drive compartments has its own triangular lock feature, making it impossible to remove all the hard disk drives at once. The KF-257 mobile rack unit comes in an aluminum bezel frame, which is vibration resistant, and is not magnetic. This feature prevents the risks of losing valuable data due to the effects of vibration or magnetism. Vibration and magnetism reduce the life a hard disk and may cause permanent and irreparable damage. This stylish mobile rack consists of a power and HDD activity LED, which indicate distinct operations that are going on inside the unit. 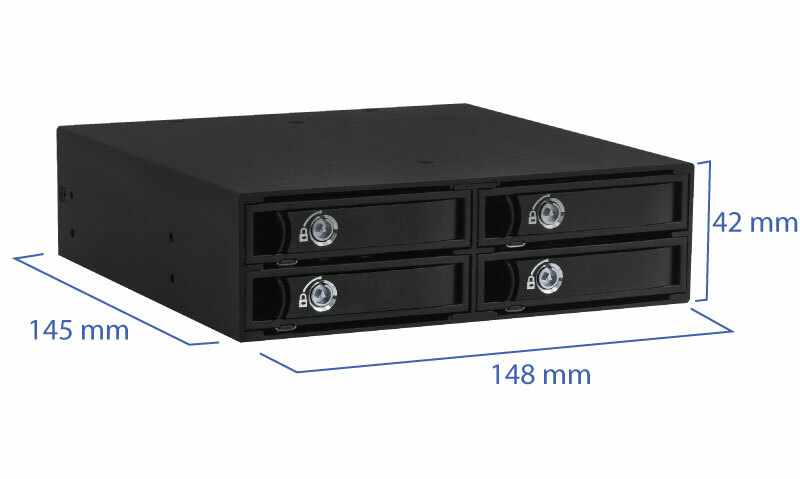 The LED lights indicate the status of the rack, when it is on and when the hard disk drive is active, as well as when the unit is not powered. The KF-257 BK mobile rack comes equipped with a removable tray. It also supports hot swaps and you can replace hard disk drives whenever you want without having to worry about the risk of overheating. The removable tray makes it easy to utilize its hot swap feature and change hard drives while the computer system is still on. This saves time and increases efficiency while you work on your data.